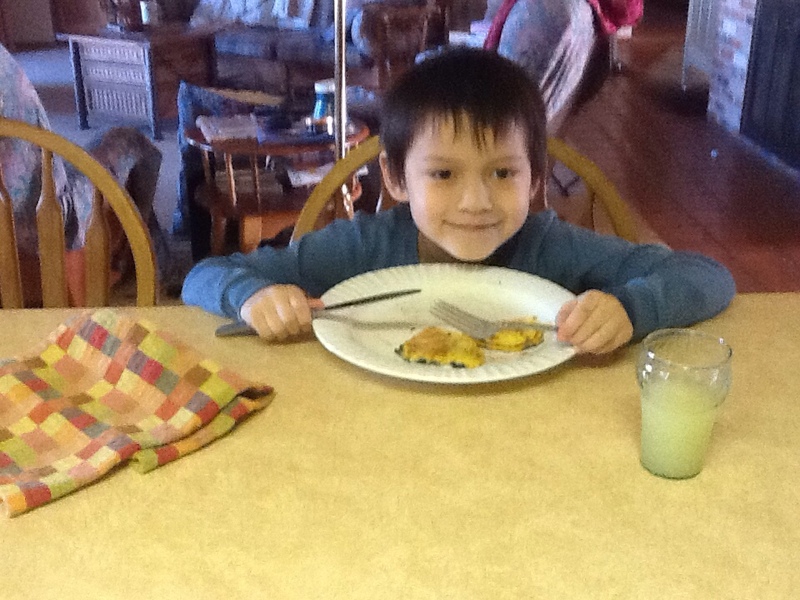 Our grandson, John Isaac, spent the weekend with us!!! We have so much fun when we're together. He's been packing his suitcase for over a week in preparation for his visit. John arrived in his PJs early Saturday morning. While I made pancakes, he unpacked his very full suitcase! He brought George, his monkey, Ace Fenderbender, his Lalaloopsy doll, Scout, the talking/singing green puppy, mini robots, his sleeping bag, special raspberry bubbles for our big tub and a few clothes to wear. 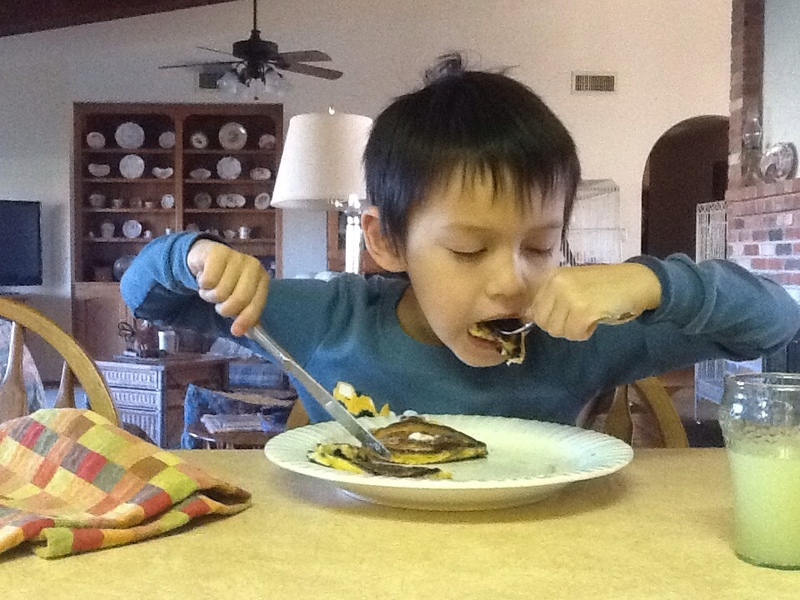 As you can see by these photos, John loved his Blueberry Buttermilk Pancakes! In the background, over John's shoulder, is Libby waiting for her pancake! Why buy pancake mix when it's so easy to mix up a batch of homemade, without the expense and preservatives? 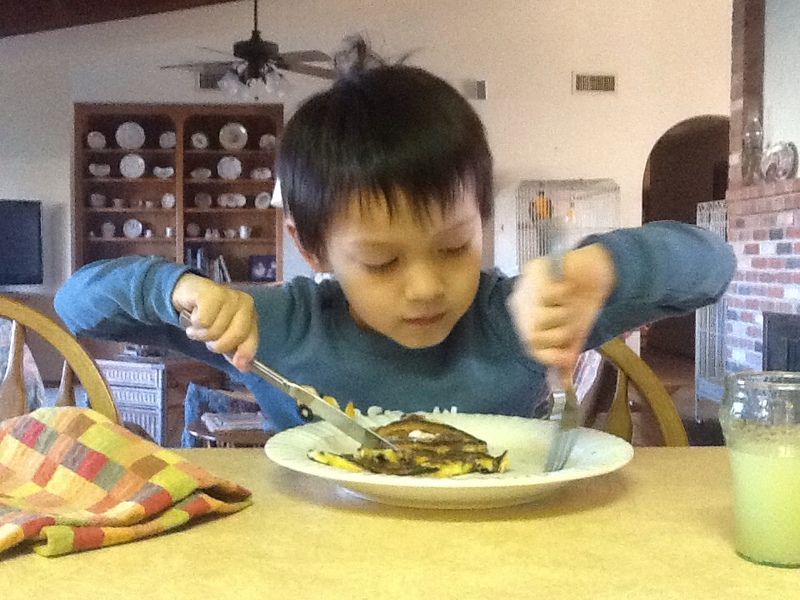 Here's one of my favorite recipes for tender pancakes! These pancakes are light and tender. In a measuring cup add milk, stir in apple cider vinegar. Preheat griddle or frying pan to med-high. In a medium size mixing bowl, beat eggs. 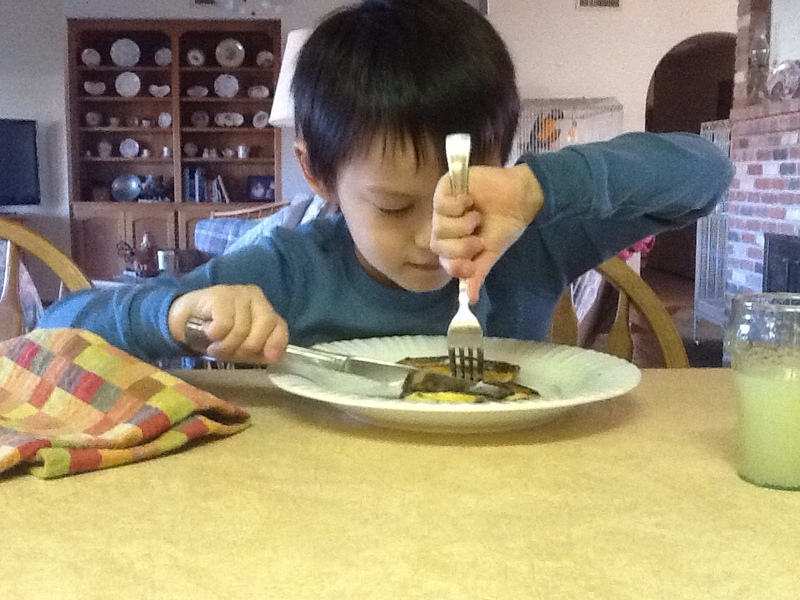 Pour milk into eggs, mix well. In a seperate bowl, whisk dry ingredients together. Add dry ingredients to wet and stir until just mixed. Butter griddle and pour batter from gravy ladle. Cook until bubbles appear; flip, cook for 2 more minutes. Serve with butter and a light sprinkling of sugar or warm syrup. Our parrots love pancakes too but can make quite a mess with blueberries. 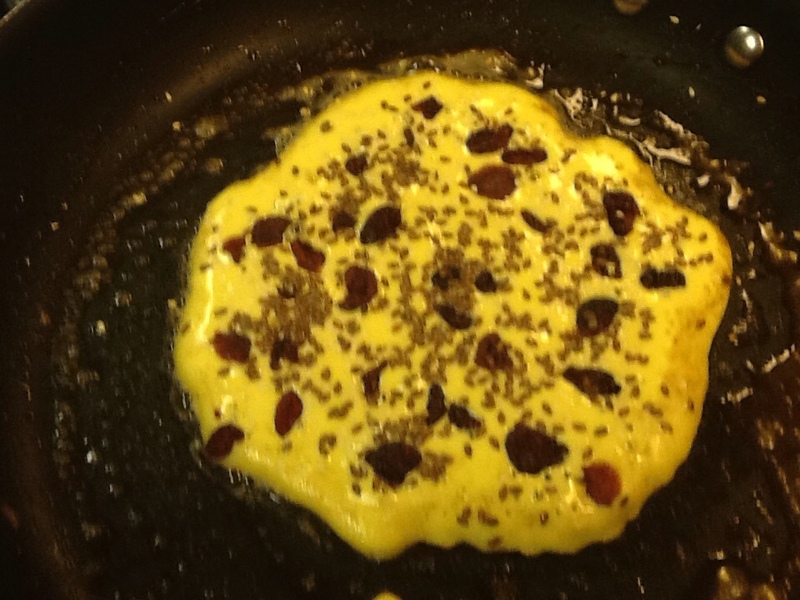 So, for their pancake I added sweetened, dried cranberries, sesame seeds and flax seeds. Parrots also love cinnamon and raisins, apples, bananas and nuts. Of course so do most kids. Just stay away from chocolate with any pets, it's toxic to them. Hope your weekend was wonderful! It's the start of a brand new week just full of possibilities! I leave you with one on John Isaac's jokes . . . Where does a dog go when he's lost his tail? Answer: To the retail store!